Now THIS is a banner set I would USE! A beautiful card Joan and a fantastic set! thanks Teresa. One of the nice things about it is that the banners are relatively narrow, and therefore, easy to make long words on a card. Adorable card! Love all the clouds in the background too. gorgeous! Love your color choices Joan! Beautiful, Joan! 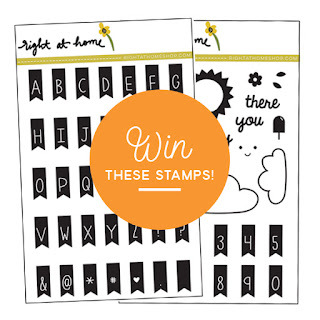 Love the soft colors of the background and those alphabet stamps are awesome!! Tne banner colors are fantastic. Great work. Very cute. I like the colors and the balloon background. Your banner card is so wonderful! And those balloons floating behind the banners are such a great touch. That banner set is very versatile! Great release! Hey Joan!! Nicely done!! The colors are amazing. LOL, I used a Misti for my postcards. Terrific idea to use stitching for your banner!! so so cute in the color scheme. what a cheerful card! Love d delicate colors and the awesome BG !!! Your stitched and stamped banner is soooo adorable!! What a cute and sweet card! Love the banner and balloon background! Awesome card - love those little banners! 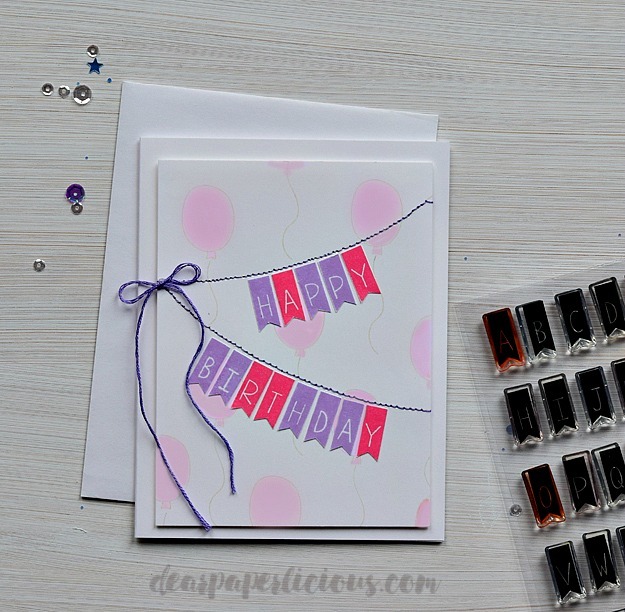 Lovely stamping and amazing card! Pretty card! I love the fun banners and your colors! Pretty card design! I really like the floating balloons in the background! Great use of the banner alpha!!! What a beautiful card. Love that banner set! Finally an alpha set I would use! Too many times I see alpha sets and I even bought a couple thinking I could stamp them on banners, but they inevitably don't fit. THIS I would actually USE :-) Love the card, btw! Super cute background! Love that you hand stitched the banner line too!!! 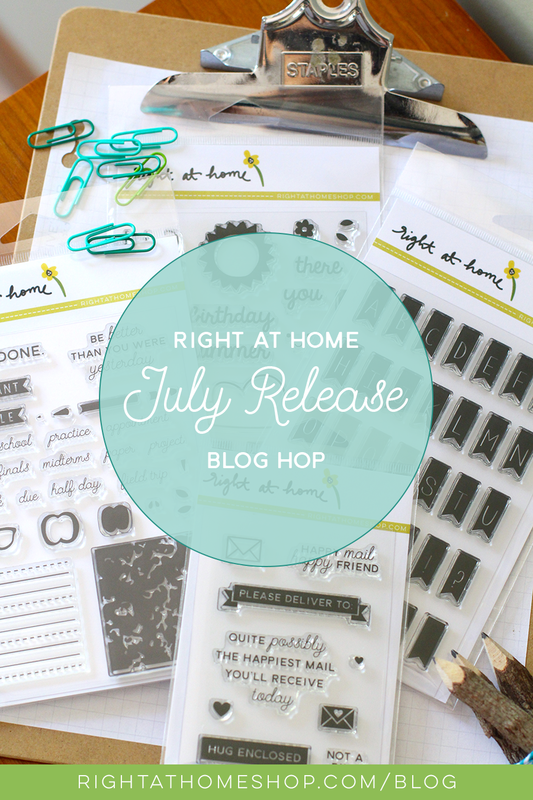 I love the balloon background and what a clever idea to use stitching as your banner rope. Great card. Love the soft color palette on this card! Wonderful card! Love the background & those awesome banners! Great design also. Thanks for the chance to win. 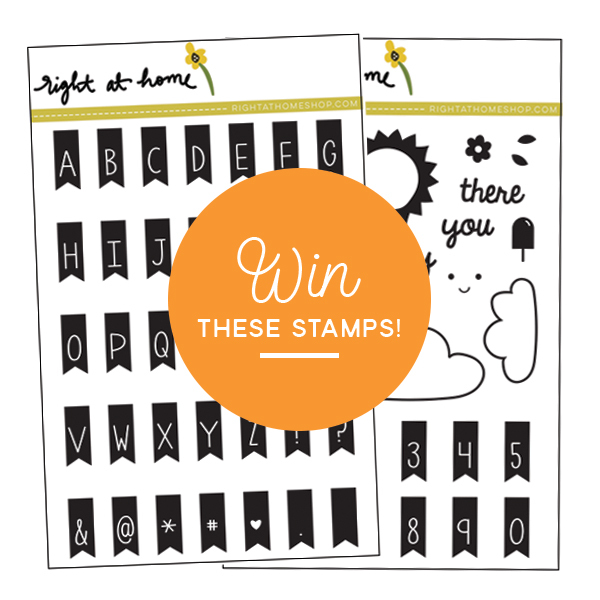 I love this banner alphabet set and your cute, colorful card! SO cute and super sweet - love how delightful this card is - the shading is excellent and I adore the stitching and the bow - awesomely done!! Cute use of the stamp sets and love the embroidered banner string. Thanks for sharing. Sweet! Love the stitching & soft balloons in the background. So darling...just love those banner alpha stamps!